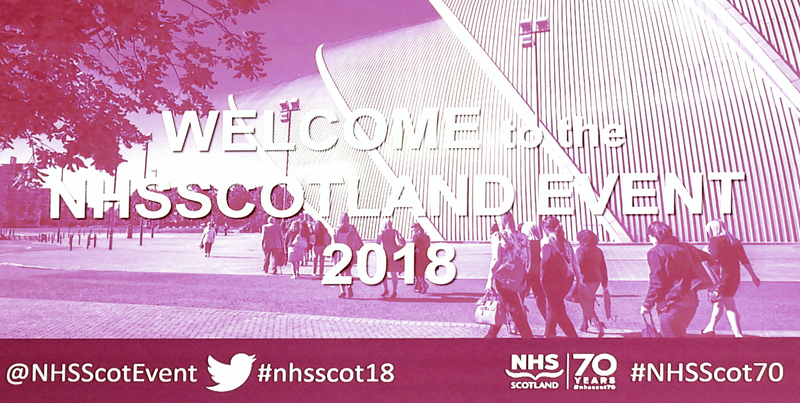 Last week I attended the NHS Scotland Event 2018. It was held in Glasgow at the Scottish Event Campus. I do not attend corporate “educational” events such as this, however attractively they may be advertised and promoted. Attendance at events like this provide points for required Continuing Professional Development (CPD). I attended this conference for two main reasons. To peacefully protest. To ask if Scotland’s approach to healthcare can be “realistic” without full transparency of vested interests? To gain a wider feel of the place of IHI “improvement science” in NHS Scotland. 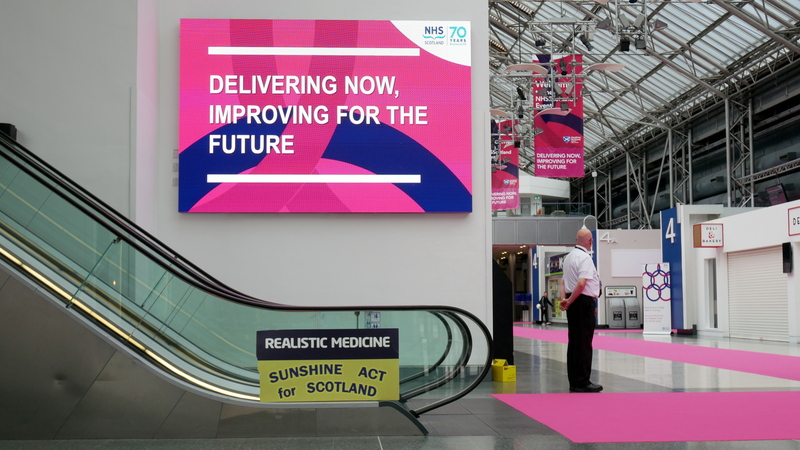 My attendance at this event confirmed that “improvement science” and “quality improvement” have becoming the over-arching framework for the NHS Scotland of today. I was pleased to find that throughout the day I was able to be part of an open exchange of views. 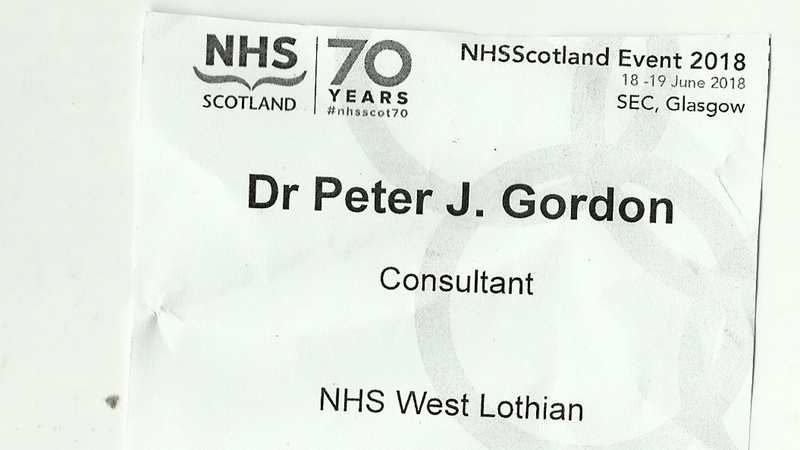 The only exception to this was a conversation that I had with one of the IHI fellows who has led in the dissemination of IHI “improvement science” throughout NHS Scotland. In this case views that did not accord with the approach being advocated were clearly not welcome. 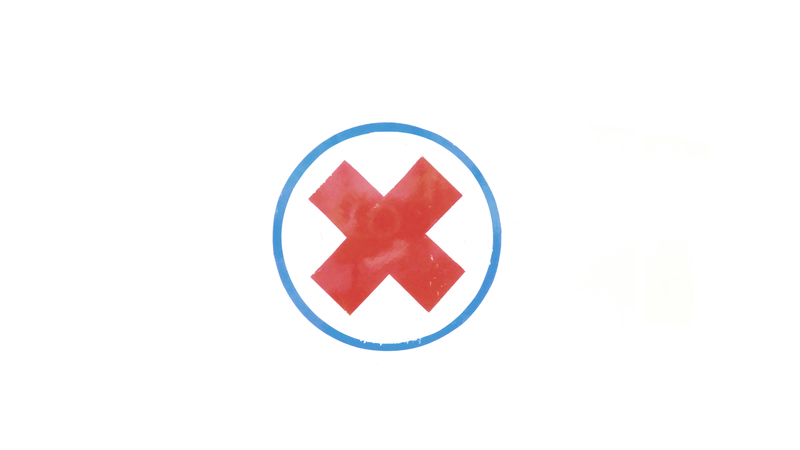 It is my view that the approach of “improvement science” does have something to offer. It is an approach that is particularly applicable to linear, rather than complex considerations. It is most suited to simple interventions. However, this does necessarily mean it has sufficient subtlety to become the overarching approach to healthcare and to fundamentally alter the approach to learning of professions over centuries. This event began the celebrations of the 70th anniversary of NHS Scotland. “Improvement science” introduced from Boston, USA, has a corporate industrial heritage that may not be consistent with the NHS continuing to follow the vision with which it began 70 years ago.